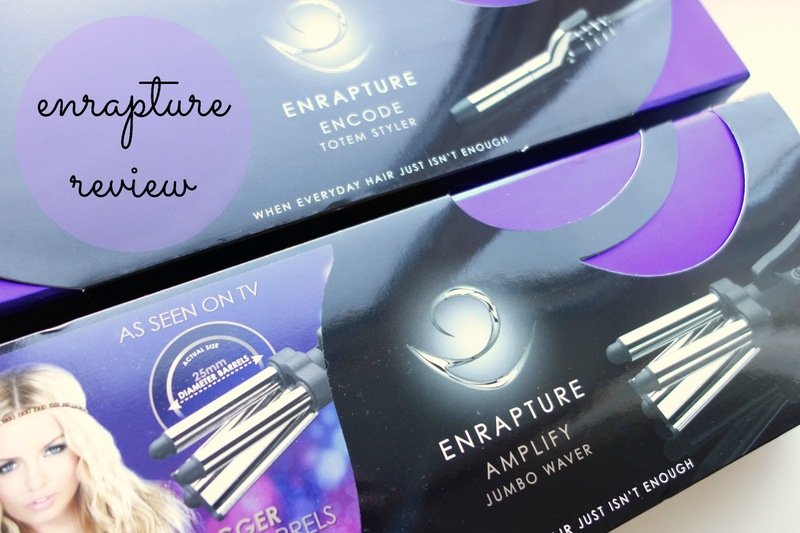 enrapture encode amplify jumbo waver*: more information here, buy here. the last time i had a hair curler i was about 13, it barely heated up and i used to spray this awful, crispy-feeling stuff all over my hair so the curl would actually stay put. safe to say i put off buying a new curler for many years as i thought it was more hassle than anything else. but, when enrapture released their unique way of curling your hair, i figured i’d give it one more go. its amazing three zone heating system: this is unique function to the enrapture totem styler and i think it’s fantastic. basically, each zone of the barrel can be heated to a different temperature so you can create different looks depending on what you want. for example, a setting of 1-1-1 would give you loose, soft curls all over whereas a setting of 3-3-3 would give you tight curls. you can customise this to suit your own style or for different occasions and to me personally, it’s a major plus! 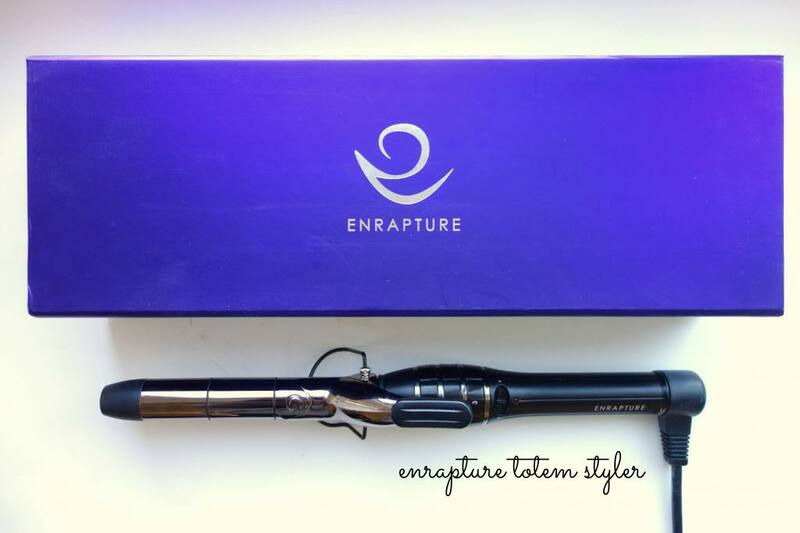 its so simple to use: with the enrapture totem styler being so light, it’s easier to maneuver and hold so you don’t a) burn yourself and b) miss any bits of hair. 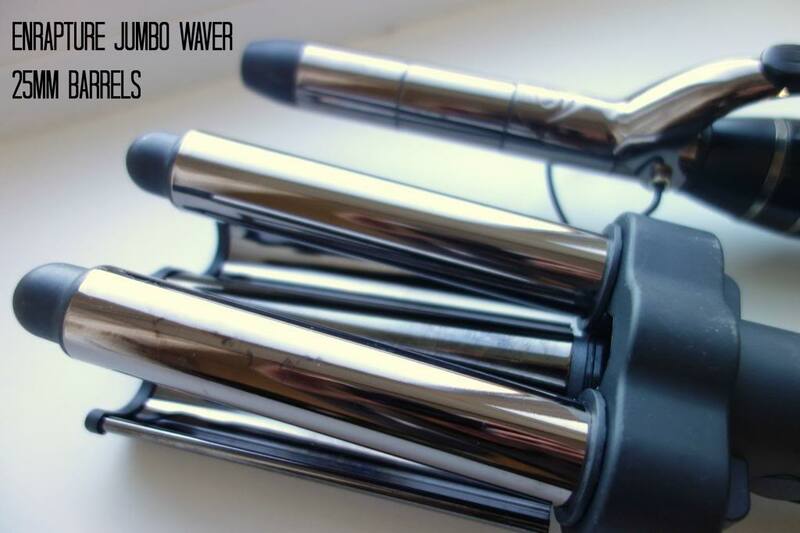 it has one of those mini flippers to hold the end in place while you simply twist it up for a few seconds to create your curls. so easy! the curls it actually creates: now, i have quite fine hair but a decent amount of it so i often find doing anything with my hair a bit of a faff. 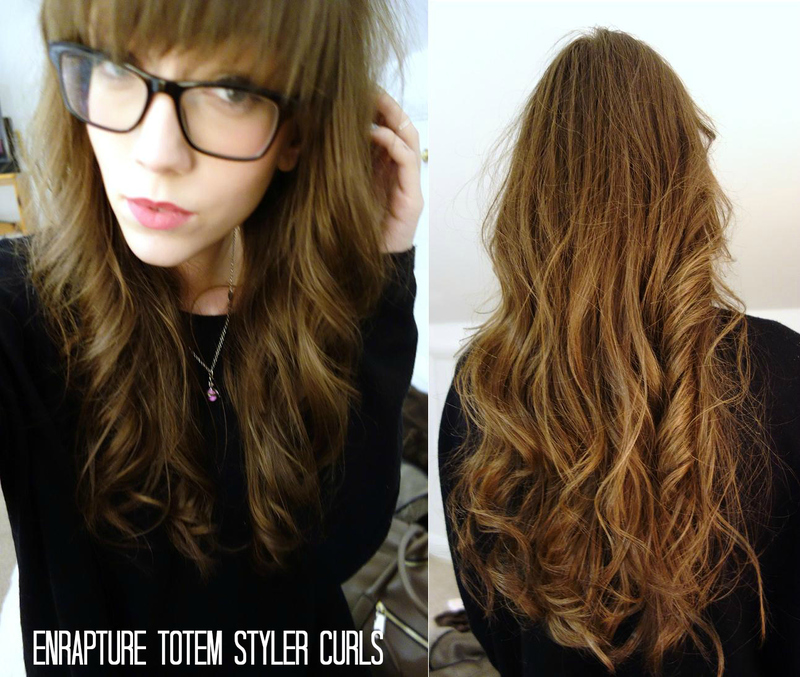 i always want volume to combat the ‘fine’ side of my hair, so i love the curls the enrapture totem styler creates. it adds a bit of oomph to my hair, with plenty of movement and they really do stay in place all day! how big the barrels are: i am extremely lazy when it comes to my hair, so i love how the entrapture jumbo waver covers so much hair in one go. i can do my entire hair top to bottom in less than 10 minutes, which i reckon is pretty impressive. i just clamp a piece of hair to the count of three (on the highest heat) then move it down, resulting in an even waved look which suits me fine. 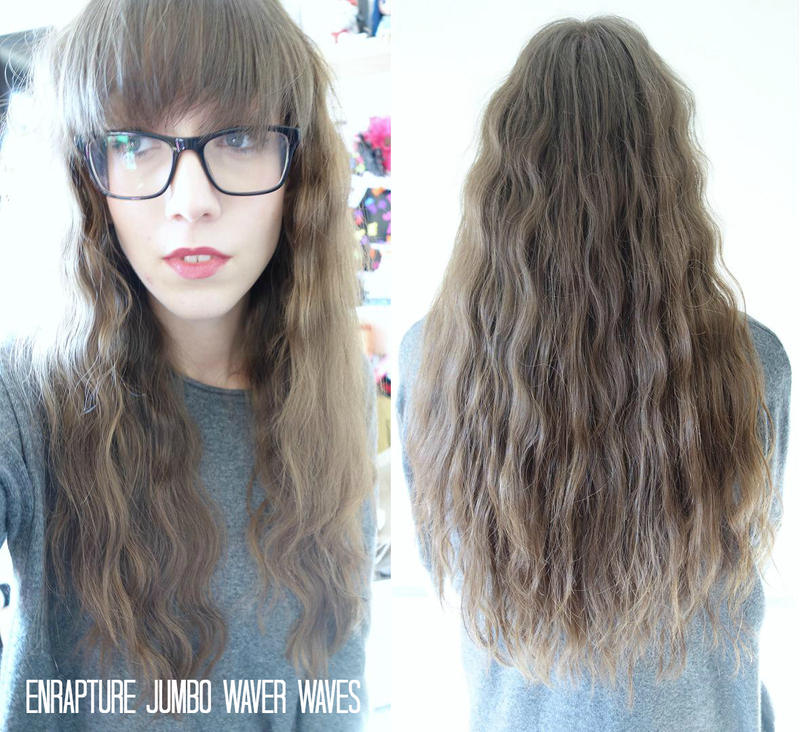 the waves you can create: depending on how long you press down, you can create deep ‘s’ shapes or loose textured waves. i adore how much volume it adds to my hair, as i said above, it’s rather fine and usually quite flat if i don’t use any products. i don’t want to repeat myself, but most of the points from the enrapture totem styler are relevant here too. it’s so easy to use despite being heavier and me being pathetically weak! 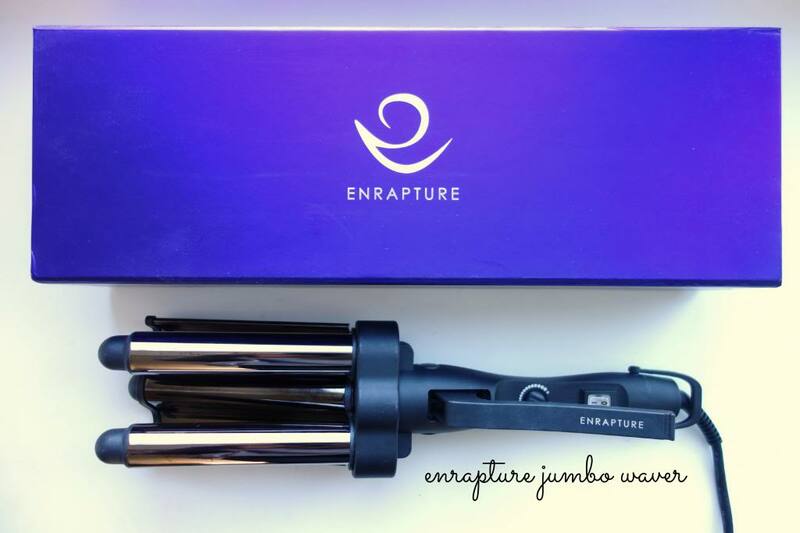 next day hair: i absolutely adore my hair the next day after using the enrapture jumbo waver. it’s just goes into that perfect beachy, mermaid-esque wavy look. makes me actually like second day hair, as it usually just makes me want to tie it back so i don’t have to see it! hello teeth, put yosel’ away. oh and ignore my rubbish skin, that’s courtesy of effaclar duo! joy. so, in conclusion, i love both hair tools! 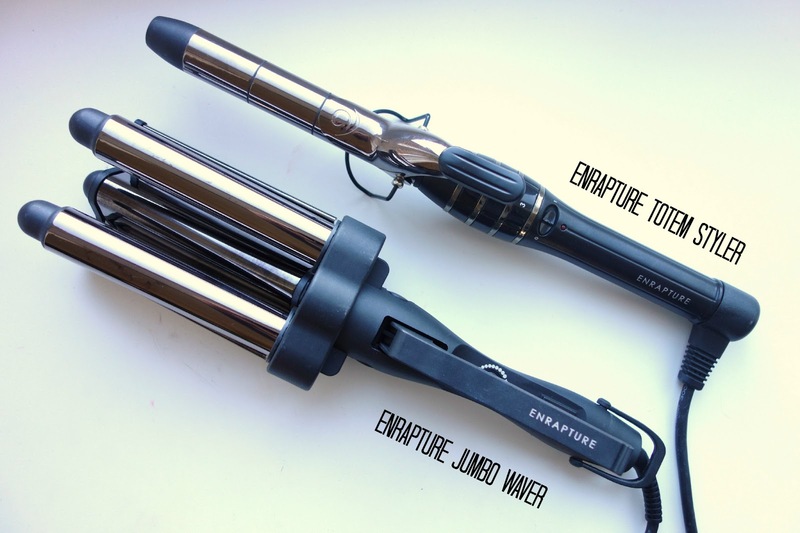 i think both the enrapture totem styler and jumbo waver work well whether you want curls or waves. they’re sometimes on offer (up to 50% off occasionally) on some websites like boots and john lewis, so you can usually find a bargain! i think they’re well worth the cash and i don’t think i’ll use any other hair tool (apart from my straighteners, obvz) for a very long time! now i’m absolutely desperate to try their heated rollers to see how they compare! which one is your favourite? have you used enrapture hair tools before? ps. have you seen sophie’s amazing food blog? she’s baked a beautiful easter themed cake recently. oh and make sure to take a peek at georgia’s lovely blog too!